Summer break! Three glorious weeks with no deadlines, no 5 am wake-up times, no long commutes. I've replaced those things with long Sadie walks, afternoon naps, and ballet-documentary-and-Cary-Grant-movie marathons (my apologies to William - our Netflix recommendations are now completely skewed to my tastes). 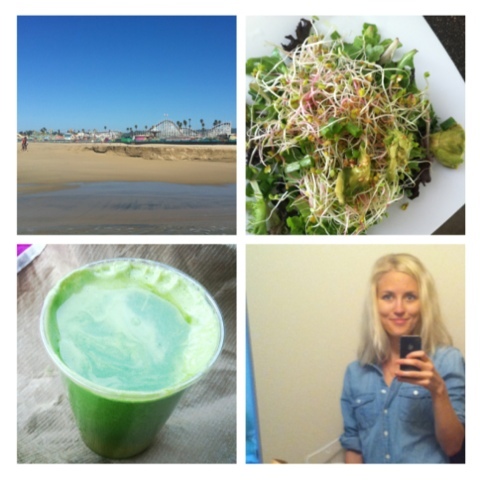 Also see: a short trip to Santa Cruz, salads with spicy sprouts, a new J. Crew chambray, and green juice.